A few months ago, we received a HUGE donation from our friendly neighbor, Jan Skelley! 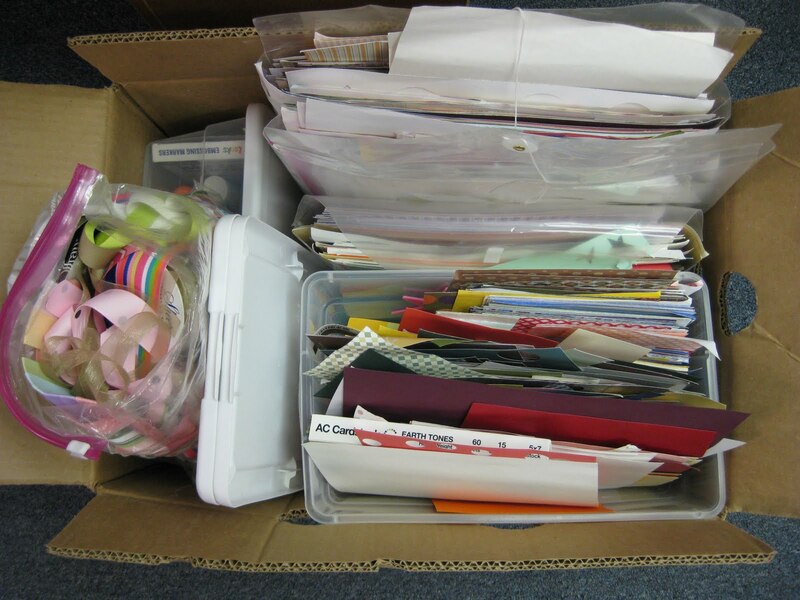 She was cleaning out her closets and brought over this enormous box of paper-crafting supplies! We are SO grateful for this generous donation. 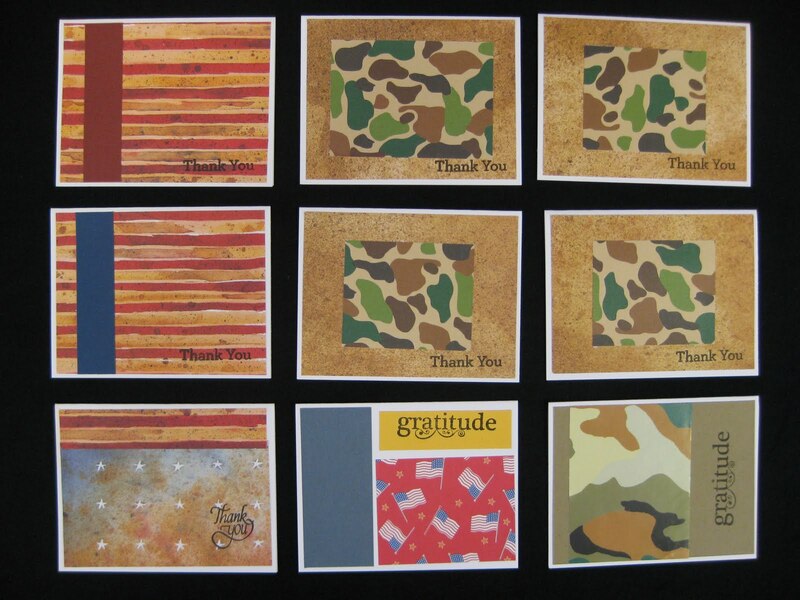 Miss Marlene and I sorted paper for four hours, and came out with piles that coordinated perfectly for our May (Memorial Day) project – cards for military serving worldwide. 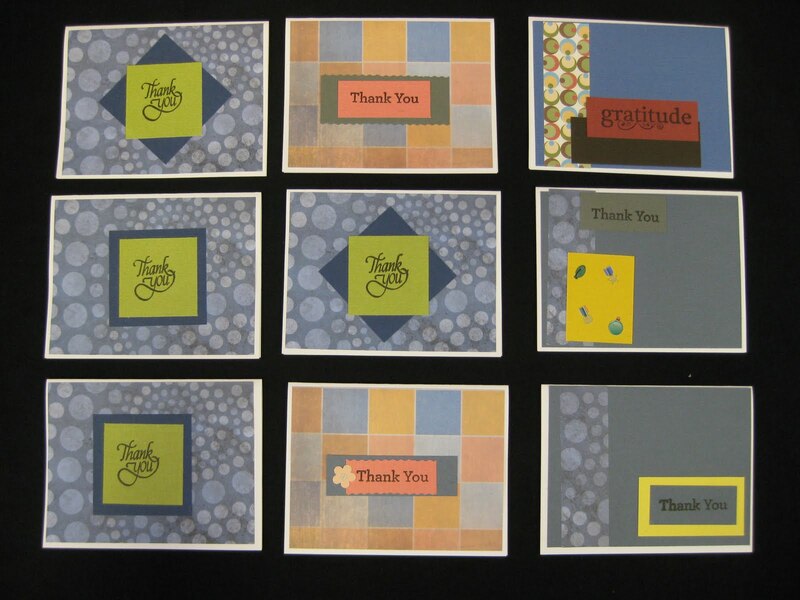 She cut all the paper into pieces to make assembly very easy, and we cranked out 207 cards! Here are a few of the cards we made (click here to see the rest). The only thing missing on these wonderful cards? Hand-written Thank You greetings on the inside! 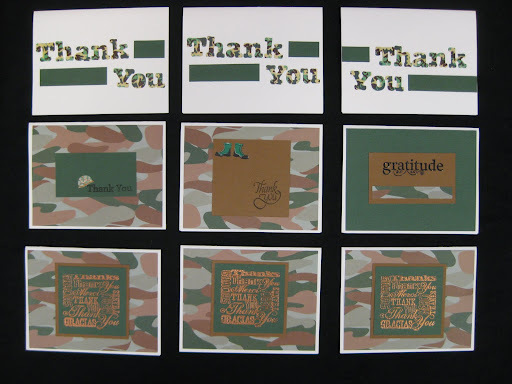 Would you be willing to help us fill out these cards with a hand-written note for our brave US soldiers? Come enjoy the Community Health and Safety Fair (it’s free!) this Wednesday, June 8th, from 6-8 PM, at Gilbert Park (behind Trinity Southern Baptist Church on Trekell Rd) for Spark a Smile On-The-Road. Look for our blue tablecloth, and stop by to send a little note to servicemen and women around the world!